The debate over a “pilot shortage” has gained traction in recent years due to the crippling effect a pilot shortage would have on the world today. For a professional pilot, the job outlook has had its ups and downs, but in the current economy, the balance has shifted. Now— and in the near future— there are simply not enough qualified pilots to meet demand, much less the significant growth expected for airlines and private jet operators over the next two decades. Boeing predicts that over 637,000 new pilots need to join the workforce in the next twenty years. Those numbers unearth the astounding truth that eighty-seven trained, and qualified candidates must begin their pilot training and aviation career, every single day, to meet the forecasted growth. Historically, most pilots were trained by the military. Today, the use of drones and lack of large scale military buildup has drastically reduced the number of pilots, pilot jobs, and flight training in the military. Further, the industry has neglected to market to a huge demographic — women. Currently, only 3-5 percent of pilots worldwide are female. “At least 50 percent of the population is female, but very few women pursue a professional pilot career,” says Ron Rapp, an experienced corporate pilot and prolific aviation writer. His thoughts and opinions on how to become a pilot and pilot training are found on his website, AOPA, JetGala Magazine and NatGeoTV, among others. The pilot shortage is heavily felt at the regional airline level and amongst business jet operators. 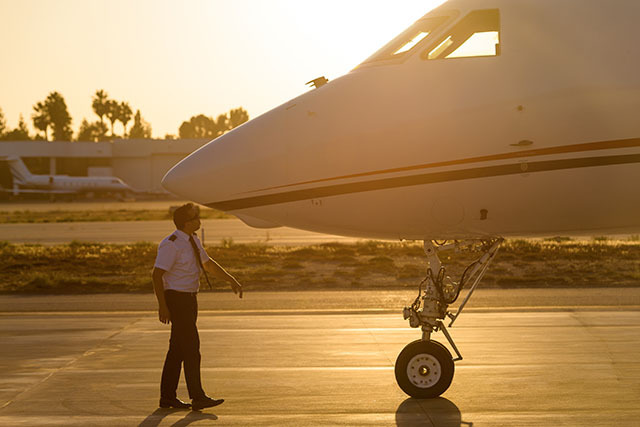 Unfortunately, pilots are dispersing from the ranks of business jets to pursue more lucrative aviation jobs that include a more predictable schedule, signing bonuses or long-term stability. A well-known regional airline had to cancel over six percent of their scheduled routes in peak summer season. The reason for the over 300 flight cancellations? The company stated that it did not have enough pilots to fly the planes. Todd Insler, head of United Airlines Pilot Union recently reacted to the pilot shortage discussion; commenting that aviation faces a shortage issue more so because top pilot candidates—adequately skilled for the available pilot jobs— are resistant to accepting the working conditions and the initial pay that new hires were subjected to endure. Considering the incredible investment of time and money that professional pilots devote before seeing any reward beyond their inherent love of flying, it’s no wonder that a “shortage” exists in aviation. What is the best part of being a pilot for Clay Lacy Aviation? Find out in this interview with a Clay Lacy corporate pilot or visit our career page.